If you want to know the process of making rap music you have come to the right place, and our review about how to make rap music contains information about how to write great song lyrics, rhythm and rhyme, how to record your own song at home and what kind of instruments and beat software do you need to make a song. Nowadays music has become an important part of everyday life. In the morning, when you wake up, you turn on the TV or the radio, you listen to music on your way to work, to school, to the shopping mall, everywhere. Beats are everywhere, you just have to want to hear them. Some are smart enough and they put them into beats, make rap songs. Some of the best ‘rap beat makers’ so to speak are the nature, your passion for music and your imagination. Some of the best rap lyrics come from paying attention to everyday life. When you try too hard, sometimes it just won’t work. They say that the best things in life are free, so is music. So are the lyrics…. Try and think of simple things, let your imagination work and this is how you can make your own song. The lyrics of a rap song most often includes metaphors and similes which add flavor to the whole of the song. One of the most important aspects of making a rap song is freestyling, which attracts people because it makes them feel involved. When you rap about simple things, people find themselves in your lyrics. The lines have to be smart, clever and catchy, so you can think of some lines and create your own storage of rap lines which you can mix with the freestyling and create something awesome. Freestyling is all about passion and love for music, and then it all comes down naturally. And if you want to know how to make a rap song you have to feel the music, be the music so that you can make music. You cannot rap just thinking about words, the music comes along with it. In order to catch the attention of the audience, you have to create alternations of rapid versus slow pieces or beats, never let the public get bored or get accustomed to your music line. You have to surprise them, keep them engaged in your song, the flow and style has to be fresh, new, unexpected, surprising, dazzling. Very often it is the chorus or the hook that get the listener’s attention, and some artists choose to start their song with this part, not with one of the three groups of verses that usually make up a rap song. The music line of this part of the song has to be different from the other parts of the rap song. Usually it is mostly spoken and the hook or chorus is slower in pace or more melodic than the rest of the song. Obviously, the most important instrument for the rap music is the drum, but it can be backed up by almost any instrument you can think of: chords, ethnic, brass, you name it. Many artists have a specific instrument they keep using in their creations, which gives them a mark, their specific print, allowing you to identify the beat maker or creator. Rap beats are important when you create a rap song so you can use online beat makers to make your own song, you can create your own beats online or you can use already existing free beats, but my opinion is that you can add your special touch and make something original. This way, you won’t have to worry about copyrights or already used beats which will make you sound phony. BTV Solo or Dr. Drum are some of the music creating programs for rap that you can find online and which are great for beginners but sound professional. Beat maker programs are generally used when no instrument is available. 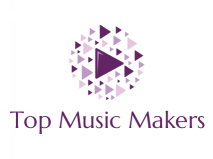 If you don’t have a guitar or a piano, which by the way sound amazing in a rap song due to the contrast they create with the spoken music, you can use beat makers which will help you extensively, being an entire orchestra themselves. Obviously, the most fortunate record their songs in a recording studio, but if you don’t get that chance, no need to worry, beat maker software programs are available for you to start recording your creations. A mike will do and a little mastering of these tools. Beat makers not only help you create beats but they also give you the chance to record them. If you start with a beat maker, you finish with one, right? Rap on… you have plenty of things to rap about, just let your imagination flow and relax… great things are achieved when you don’t strive too hard, just be yourself, be natural, be the rap artist you’ve been dreaming of!